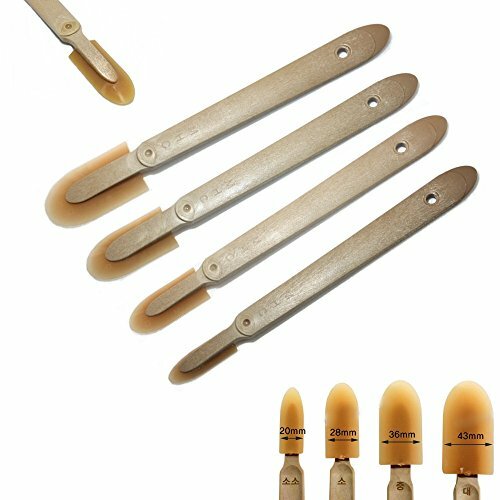 MHC Grout Caulk Caulking Silicone Sealant Finishing Tool Spreader Spatulas Applicator Rubber Tools 4 Size Set by MHC at N Online Agency. MPN: MHC Rubber Hera 4 Size Set. Hurry! Limited time offer. Offer valid only while supplies last. It's possible for beginners to work with silicon. Urethane rubber materials for durability and good elasticity. After use you can keep for a long time after cleaning can be used. If you have any questions about this product by MHC, contact us by completing and submitting the form below. If you are looking for a specif part number, please include it with your message. Caulk Gun Nozzles for Sausage Caulk Gun,Flat Mouth/16pack.